Sitting down today to write this post, I am reminded of the little factoid I learned while visiting Claude Monet’s house last summer. The year 1840 was a watershed year for painters because…oil paint was finally put into tubes! I had never considered this as a revolution before, but it makes sense! The artist is now freed from his studio to go out and capture first-hand his object of study. However, it also occurs to me that these painters now face the same as Tennyson’s weaving lady. Now that they are entering into the world they wish to capture, will they alter it with their presence? Will it be the same world once they have entered it? Only the artist can answer that question—only he can decide whether the cost of entering is worth its rewards. This is a photo I took while overlooking Monet's pond in Giverny--his inspiration for his famous "Waterlilies". The other reason I borrowed The Silent Isle from Tennyson is because of the idea of silence. It is a commodity. Even now, as I write, I hear traffic outside and a home improvement show jabbering in the next room. Few places exist where silence is given free rein. (yes, it is "rein", not "reign".) So much so that often we aren’t even aware of the noise. It has become a tacit influence on our everyday existence. Yet, the more I understand of what I’m called to do as a writer and artist the more I need that silence in order to wrestle with and understand the core or essence of what I’m trying to say—the marrow of my words. That is why this blog has become so important for me. It offers me a small slice of silence where I can grapple and then compose my grapplings into a modicum of coherence and, hopefully, truth. the dead lady rather than just standing over her, clucking his tongue, and saying, "Too bad. She was pretty." However, I'm not sure I like the pained look of the center guy at the top pulling her out of the water. Dude, there's 1 of her and there's 4 of you. She's not that heavy. There the river eddy whirls. If you actually read the whole way to the end--FANTASTIC! I am so proud! You will also be the first to know that the next post will be from my very first guest blogger for the "Had I But Known" series! Look for it on Monday. Very excited!! Also, you may have noticed that I now have my very own, shiny and new domain name: annaurquhart.com. Yay! 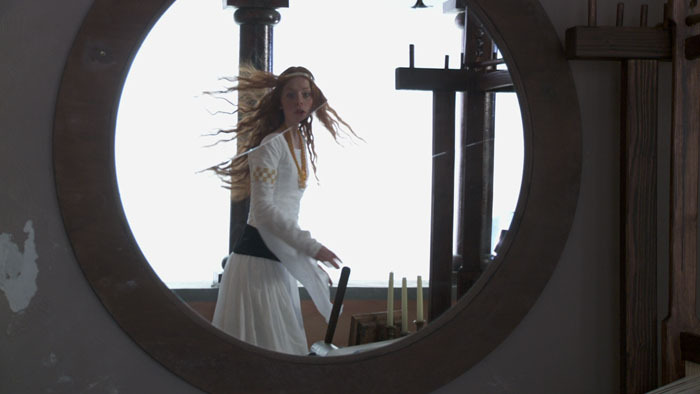 Top Image from the 2009 short film: The Lady of Shalott. I loved the poem and the idea behind it. Unfortunately, we experienced precious little literature in four years of high school English classes. I'd never read "The Lady of Shalot" until now. Given that I was wretchedly shallow, I'm glad that I found it now instead of then. I love poetry and made a mental note to set aside time to read some of Tennyson's work a few days ago. Now I have to follow through, if only to see what other gems I've been missing. Also, (for what it's worth) I really enjoy your blog. I'm a stay-at-home mom, and I love "chewing" on the thoughts and ideas you put forth. I read your blog as a part of my morning routine, before the hustle and bustle of the rest of the day takes over. Thanks for choosing to go doorless. 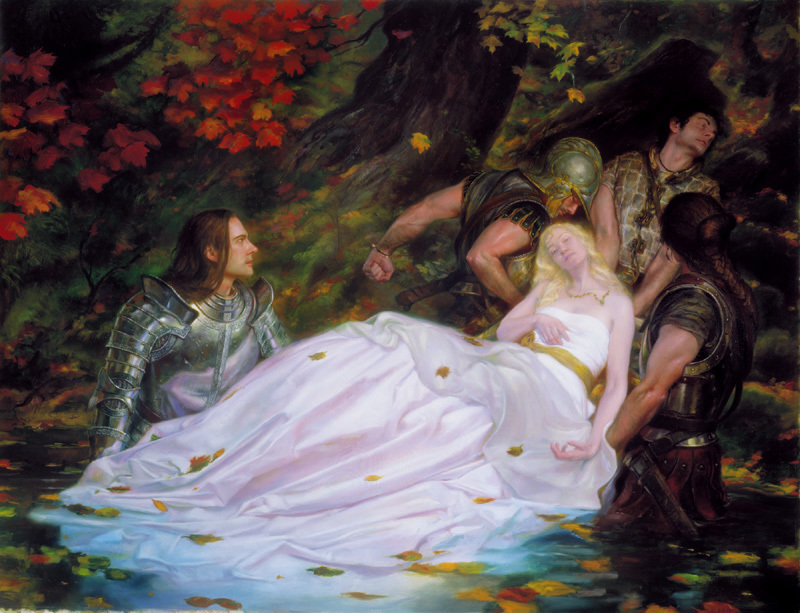 I LOVE The Lady of Shalott. I studied it probably 4 times in college, but we had to really attack it with vigor in my Arthurian Legend class, which was fascinating. such a beautiful poem. Ooo, I would loved to have taken an Arthurian Legend class. That would be amazing--and this is indeed a poem that you never get to the bottom of. It's so rich! Thanks for reading, Kate! I finally grabbed enough time to sit and read The Lady of Shallot. I had only read bits of it before now, particularly: She has a lovely face; God in His mercy lend her grace, The Lady of Shalott. But; Long fields of barley and of rye, That clothe the world and meet the sky...That is beautiful imagery to a farm woman. I wish I could write like that. Thank you so much for featuring Tennyson's beautiful words all strung together for the ages. And I agree about the guy in the painting. Hilarious!